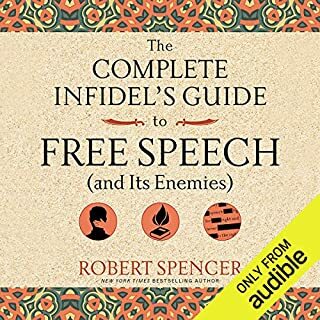 From Robert Spencer, the New York Times best-selling author of The Politically Incorrect Guide to Islam and The Complete Infidel's Guide to ISIS, comes a bold defense of freedom of speech - the single most valuable freedom humanity has, a freedom now endangered worldwide. You'd think we were living in the golden age of science and reason. But the truth is far more sinister, says Austin Ruse. We're actually living in the age of the low information voter, easily misled by all-too-convincing false statistics and studies. 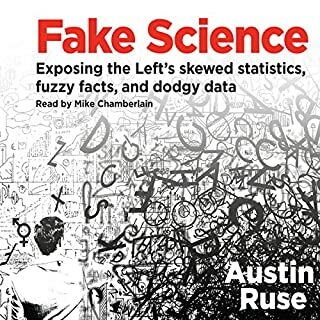 In Fake Science, Ruse debunks so-called "facts" used to advance political causes one after the other, revealing how poorly they stand up to actual science. Ten Reason to listen this book. Liberals take great pride in their supposed openmindedness. Yet when it comes to hot-button issues like radical Islam, global warming, and abortion, "openminded" liberals go to great lengths to discredit and suppress the ideas of their opponents. Breitbart senior editor Joel Pollak exposes the 19 key ideas that today's liberals are desperate to suppress, revealing the blatant hypocrisy of leftwing leaders and pundits who preach tolerance but practice intolerance. No Go Zones. That's what they're called. And while the politically correct try to deny their existence, the shocking reality of these No Go Zones - where Sharia law can prevail and local police stay away - can be attested to by its many victims. Now Raheem Kassam, a courageous reporter and editor at Breitbart.com, takes us where few journalists have dared to tread - inside the No Go Zones, revealing areas that Western governments, including the United States, don't want to admit exist within their own borders. With compelling reporting, Kassam takes you into Islamic areas you might not even know existed - communities, neighborhoods, and whole city districts from San Bernardino, California (a No Go Zone of the mind), to Hamtramck, Michigan (essentially an Islamic colony in the Midwest); from Malmö, Sweden, to the heart of London, England - where infidels are unwelcome, Islamic law is king, and extremism grows. Compelling in its reporting, shocking in its detail, Raheem Kassam's No Go Zones is one of the most frightening true stories you will hear this year. 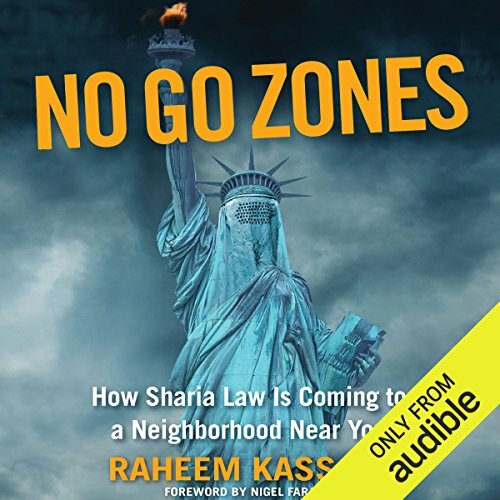 ©2017 Raheem Kassam (P)2017 Audible, Inc.
What made the experience of listening to No Go Zones the most enjoyable? The most enjoyable part of this book IS this book. For far to long news outlets have been controlling the narrative and hiding one of the many truths out there; hopefully there is more to come. Great book! You don't know what you don't know; until now. Incredible listen with facts and insight for those curious as to what is really going on in cites across Europe and North America. This is America's wake up call! Very revealing book! Guarantee that 99% of Americans have no idea this is happening or could ever happen. This had better be America's Wake Up Call! What we need to know about Islam. This book opened my eyes as to what islam is doing to our country. I also see that I need to read more on the subject. A detailed story about the not so covert infiltration of America by Muslims bent on spreading Islam throughout the United States, I dare say the world, and supplementing Sharia as the law of the land. Unlike former immigrants and refugees today's newcomers are not coming to the US with open hearts and minds ready to join in the great American melting pot but with strong allegiance to their past customs, lands, morals and with little or no interest in joining but a desire to remain separate from the rest of us creating so called no go zones where their own laws are enforced. Very enlightening. Chilling consequences of unregulated immigration to national identity. What globalists don't want you to know and that mainstream media won't cover. What did you love best about No Go Zones? 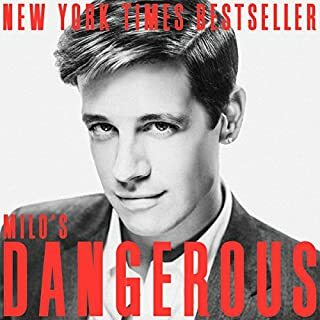 I was a little skeptical about buying this audible for fear that it would contain only bigoted and irrational thoughts. I was very wrong. The book is written by a past practicing Muslim and goes into the details of the dangers on Sharia law. The book explains how Muslims are not the problem but the ideology and laws or Sharia are. Sharia laws are a direct threat to the West and democracy. This book goes into the details of Raheem Kassam experiences in no-go zones throughout Europe and the West. Raheem's first hand experiences proves what the media does not want you to know. It explains the dangers and threats of creeping Sharia in once non-Muslim areas. The integration of Sharia law is a long process but the lefts &quot;Islamophobia&quot; shaming and political correctness garbage helps Sharia flourish. It explains what the media doesn't want you to know. Every American and European should buy this book if they do not know much about the dangers of Sharia law in Islam. Interesting, gave me a lot to think about and look in to. Wasn't exactly fun but would recommend. succinctly expresses the incompatability of Islam with western secularism and the burgeoning need to challenge its spread. Extremely well researched, thought-out, and perfectly executed. 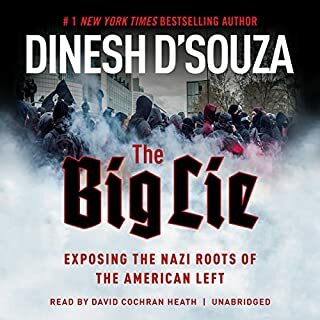 Not only is the subject matter of, "No Go Zones" explained in great detail, the amount of information to back-up the title of this book was staggering, and eye -opening. 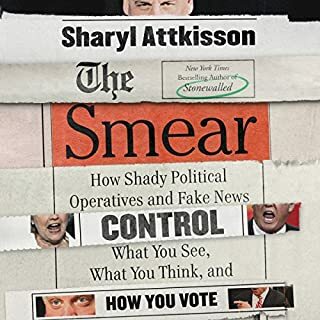 This book is a must read for anyone who is interested in modern day geopolitical, and societal assimilation issues that are taking place in the very countries, cities, towns that we cannot believe this type of unlawful behavior is either being accepted, or simply taboo to discuss. This book is a true eye opener. While the existence of such areas is not surprising, the sheer scale and scope of what's happening in the West vis-a-vis its Muslim citizens is a game changer in my perception of this problem. This book was excellent. Unfortunately it confirmed my thoughts and the thoughts of many others. Raheem took the time and effort that was necessary to confirm our worst fears. Great research and effectively articulated. Take your head out of the sand by listening to this book. The foreword by Nigel Farage, Nails it! This book details Raheem's experiences in so called 'No Go Zones. It's is well researched, full of facts, figures and details that one can't dispute. Don't be put off by the subhead on the front cover mentioning ' How Sharia law is spreading to America'. This book is a must listen for 'the all of us' living in the west who for the most part are oblivious... (for now) to how Islam and Sharia are shaping our cities, our schools, governments, and culture. "Evil prospers while good men and women stand idly by and do nothing"
This book was a great listen and quite scary in places. Good job Raheem, very well written. A must listen! A frightening scenario. Those who have kids or concerns about the future should really listen to this. Specially politicians and law enforcement and departments. A very informative book about the NGZ's, would have preferred a Raheem narration, even though Ruariri done it proud. This book should be read by all the non believers & if after reading or listening you are still in denial, how about visiting these places yourself. All in all a good listen. Unfortunately, grim reading of the reality we now live in which threatens the western way of life. .
A necessary read for all, although for those that have bothered to look around them, or have done some research, the dangers are all very obvious and highlights government collusion and ignorance of the problems ‘real’ people face and that all will face eventually. . It’s worth reading this book alongside Douglas Murray’s book on the subject. A good book, although the narrator sounded like a computer generated narrator which was a bit annoying. Well researched and without any hate or trying to twist the facts, we'll done. There is more to be told but a good start. Thought provoking. It helps to open one's eyes and see the reality in front of you. Goes beyond the mainstream criticisms of Wahabbism to the pervasive problems with ghettoisation and different sects becoming locally dominant. get a good narrator - what is so difficult ? iT is going right back.. and only 10 minute listen..